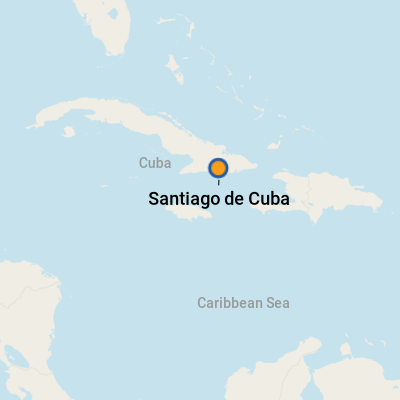 With 1.2 million inhabitants, Santiago de Cuba is the country's second biggest city, located at the far eastern tip of the island. 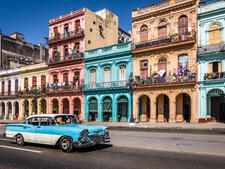 The largest, Havana, could be described as refined (and defined) in a Colonial-style way, with big boulevards, squares and architecture, spread out flat along the sea front; Santiago by contrast is a jumbled mess of streets laid out chaotically on a steep hill side, more reminiscent of Rio de Janeiro, Brazil. Santiago de Cuba has a got a strong Caribbean vibe to it, evident in the people, the food, the history, the nightlife and the culture. Santiago is also where Cuba's revolution began, and there are monuments and modern-day graffiti all over the city to commemorate the various rebel leaders, including Antonio Maceo, who led the fighting in the Wars of Independence against the Spanish and the Americans, as well as Fidel Castro, who studied at university there. On July 26, 1953, Castro and his small revolutionary army launched an attack on the Cuartel Moncado military barracks. While the incident was a disaster, it laid the foundations for the revolution to come -- and it was there in a show trial that Castro made his famous "History will absolve me" speech. Founded in 1514, Santiago served as the capital of Cuba for almost 100 years before the Spanish decided to shift it to Havana in 1607. Santiago enjoyed mixed fortunes over the years and became a major trading post for slaves brought from West Africa, Haiti and Jamaica (hence the makeup of its population). 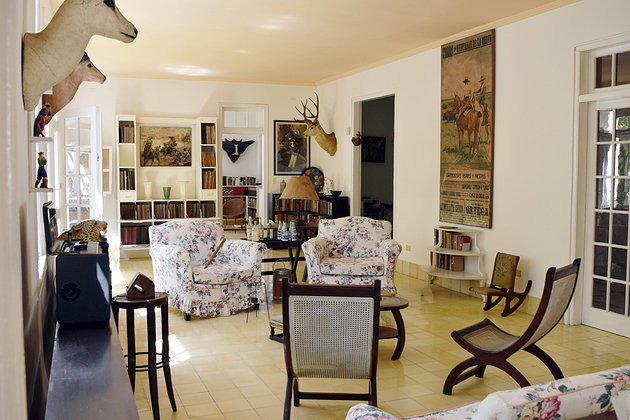 Its remoteness means it developed at a slower pace than the rest of the island, with a distinct cultural feel. It also means it is decidedly un-touristy, and you'll find a sometimes startling naivete and warm welcome from the inhabitants. Santiago also has a strong musical heritage, influenced by these cultures. 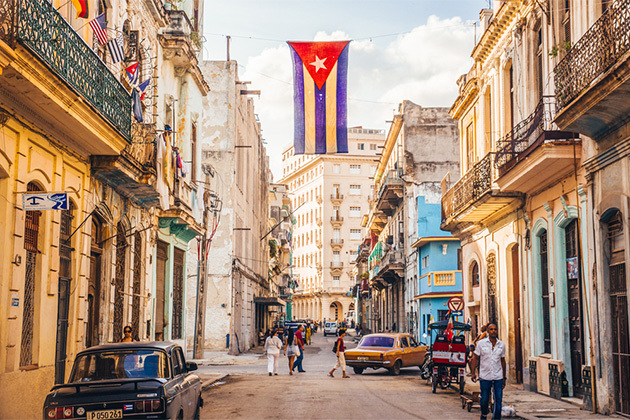 Cuba's popular national music, Son, originated in Santiago and is best encapsulated by the music of Buena Vista Social Club, a popular music venue in Havana. 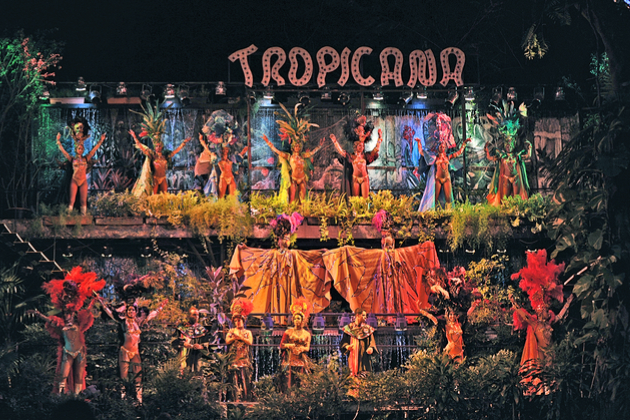 Santiago also hosts one of the most riotous and legendary Carnivals in this part of the world in July. The ship docks at the bottom of town at the Bahia de Santiago de Cuba. You'll find the Cadeca and a woman selling postcards and stamps. That's it. You need to cross the road and head up the Calle Aguilera, the road directly opposite the port to get to town. Be warned, it's a steep climb and Santiago de Cuba is hot and dusty. There is nothing at the port, and there is no reason to hang around. The town is five minutes away. While there is no serious crime, Santiago is well known for its jiniteros -- local touts -- who will try to sell you everything from cigars to a taxi ride to a chica (girl). It's exhausting at first, but if you are firm (and no is the same in Spanish and English), then they will leave you alone. If all else fails, tell a police officer -- they are very much in evidence in the town center. Apart from this low-level hassle, you should be mindful of pickpockets and being ripped off in shops because you are a tourist. It's also worth noting that Santiago has two sets of street names (as do many Cuban towns) -- pre- and post-revolution, and these are used interchangeably, which adds to confusion when asking directions. By Foot: The best way to see the city is by foot. Santiago is a mass of steep streets, filled with noisy traffic and jammed up most of the time. The beauty of this city is to wander at will and see which doorway you fall into next. By Taxi: There are taxis in town but not at the port. (There may be a taxi stand put in if cruise lines become fixtures.) If you want to get a taxi, head up to Parque Cespedes where you'll find a stand. Make sure you get drivers to agree to a price or put on the meter (which is often broken). Note, taking a taxi round Santiago is not like Havana with its sweeping streets and spread out area. You'll probably find yourself stuck in a noisy jam. For short journeys take a bici-taxi, which should be about 5 pesos per person (but you're likely to be charged a "tourist fare"). By Car: The only place to get a rental car (apart from the airport) is the state car rental company, Cubacar, in the lobby of Hotel Las Americas, some way out of the town center at the start of Avenida de las Americas. By Bus/Truck: You will notice huge old belching Soviet-era buses and trucks grinding up the streets. These serve as public transport, and there is nothing stopping you from jumping on at any one of the numerous stops. Be warned: They are noisy and crowded -- and in the trucks you likely will be standing. Expect to pay a peso or two. You'll see the Cadeca, Cuba's national exchange, as you get off the ship. Change your money there; the rates are fixed throughout the island and there are no touts. Take local currency -- credit cards are hardly used, and U.S, credit cards cannot be used. Habla usted ingles? : Do you speak English? As with the whole of the rest of the country, Santiago de Cuba has benefitted greatly from the relaxation of the laws restricting the ownership and size of privately run restaurants, known as paladars. While not quite at the cutting edge of cuisine, there are a number worth seeking out both in the town center and slightly outside. Hunt the streets running behind the central square Parque Cespedes, where you'll find shops full of souvenirs, with wooden carvings the most popular, as well as castanets, cigar boxes and paintings. You can negotiate a bargain if you are prepared to haggle or buy more than one item. With Daiquiri beach nearby and Santiago being home to the island's first rum factory, it has to be a daiquiri.